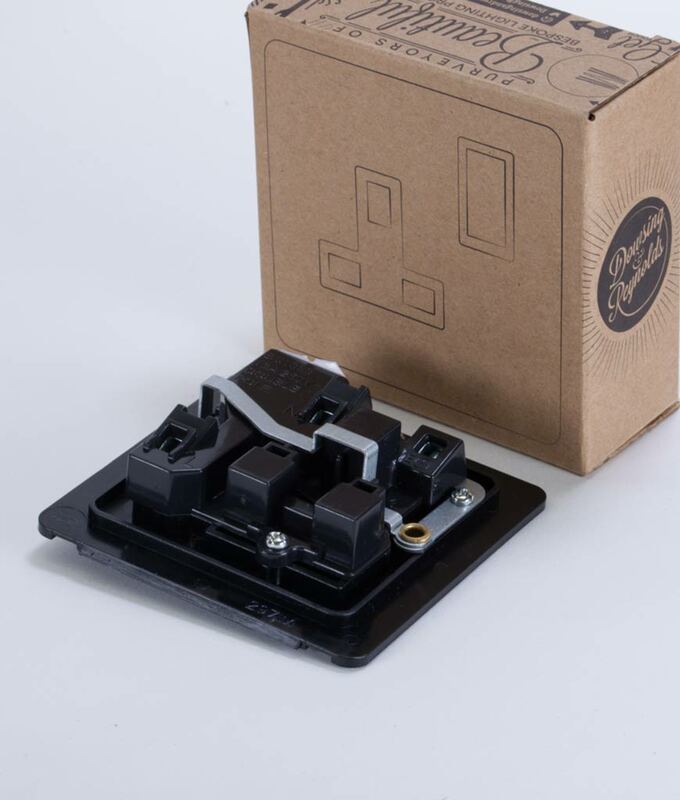 Our stunning smoked gold single plug sockets are a beautiful alternative to the white plastic ones which have become the standard in many homes. 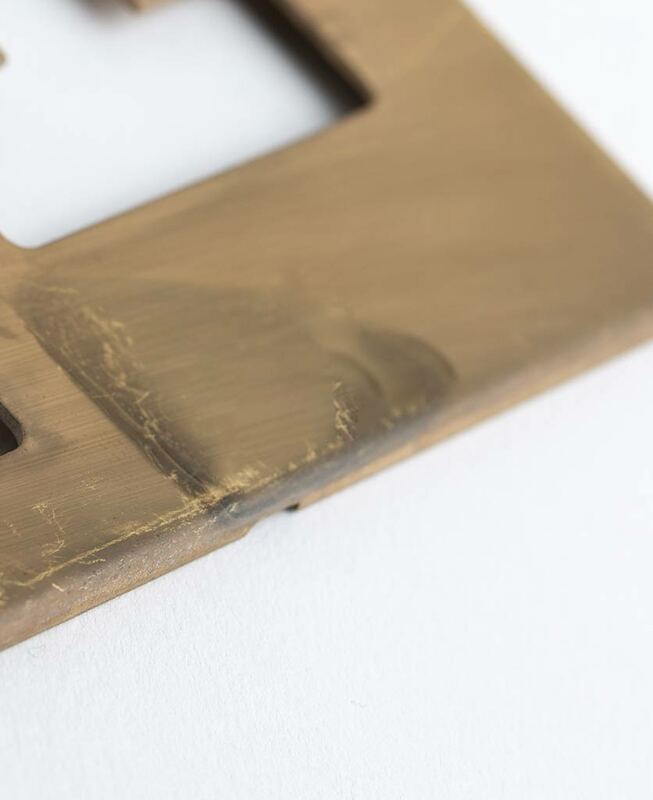 The decadent smoky pattern that swirls across the brass is just exquisite. It adds a contemporary industrial twist to an otherwise overlooked household essential. Each plug has unique markings creating the illusion that these plug sockets have been tarnished by the passing of time. 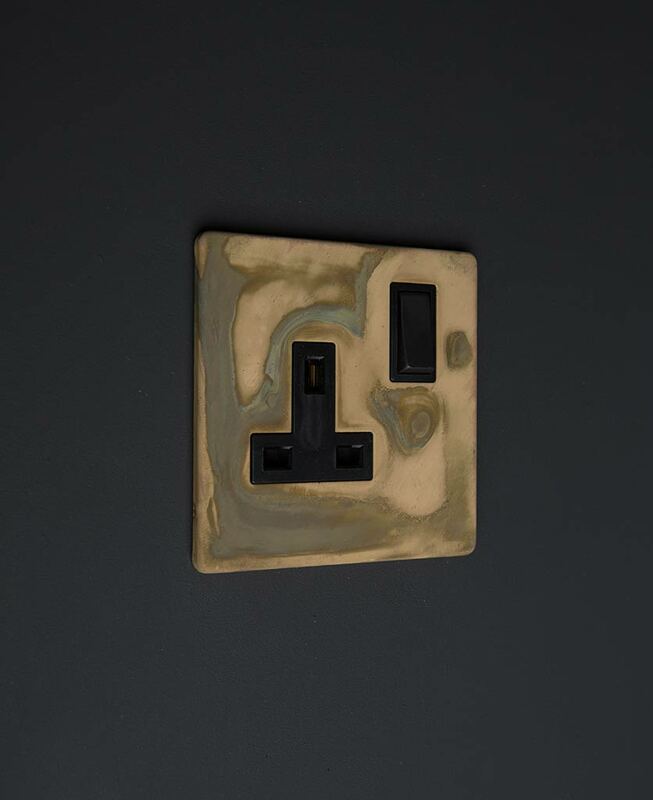 Our stunning smoked gold single socket is a fabulous way to bring your electrical points right out of the doldrums. No more sad looking, dirty white plastic plug sockets spoiling your beautiful decor. 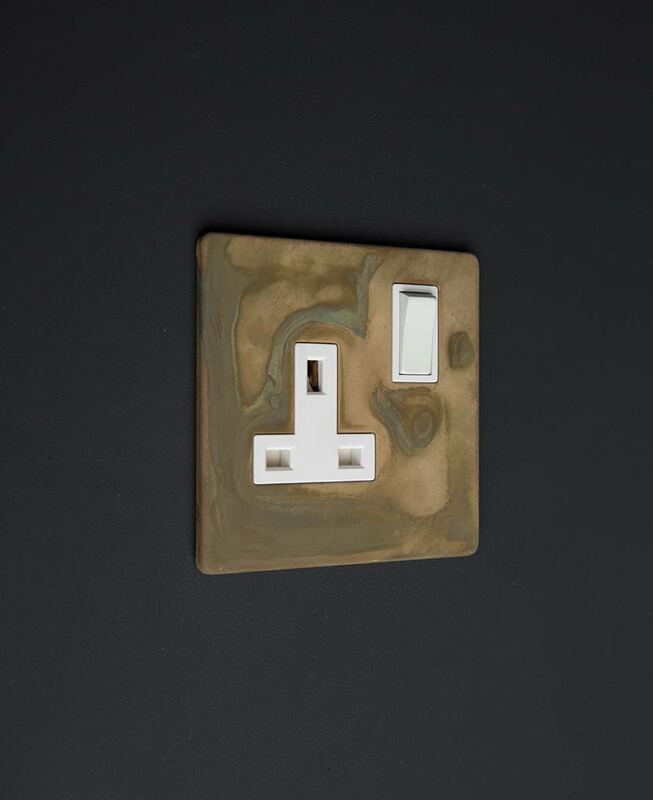 We have a whole range of these smoked gold goodies including double sockets, USB sockets, toggle switches and dimmers. All exclusively designed by us so they all match… But not too much. Each item had unique patterning so whilst they look like a carefully curated set, they’re not too matchy-matchy. We love these sockets against intense moody blues, dark stormy greys and deep heather greens. In fact, any colour you’d find in a dramatic and wildly rugged landscape will exaggerate the beautiful matt tones of the smoked gold finish. Perfect for adding a touch of toned down glamour to your room. 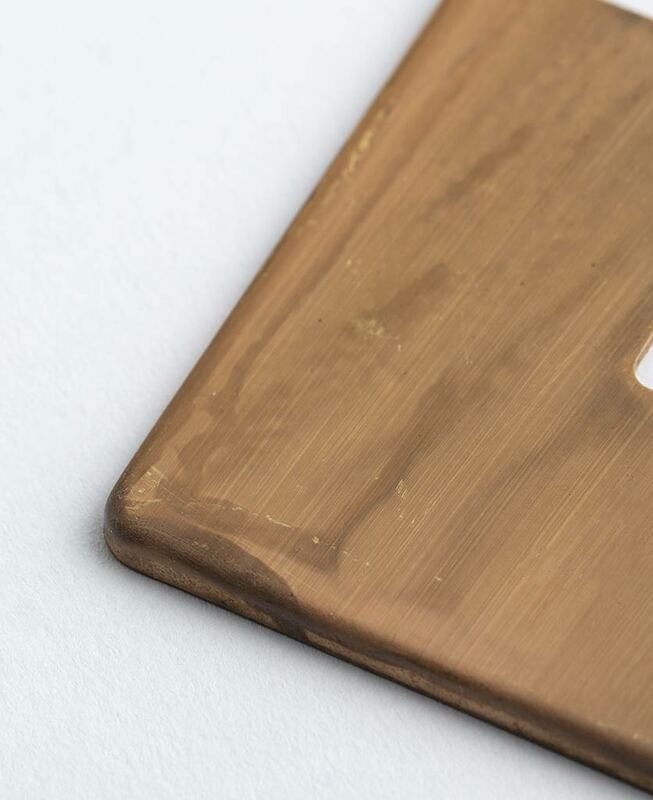 Smoked gold is a most unusual finish – you won’t find it everywhere you go. In fact, we’d be surprised if you ever come across it outside your home. So if you like something a bit different to the norm, we reckon this range should float your boat.